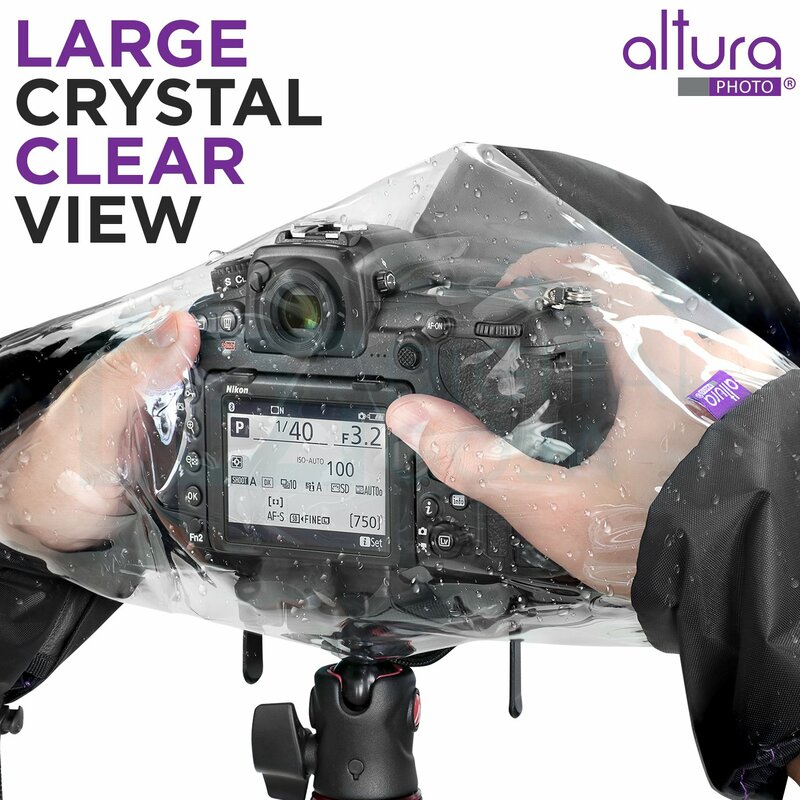 The Professional Rain Cover Protector from Altura Photo delivers maximum protection for your camera and lens with a durable, lightweight, waterproof, nylon material. 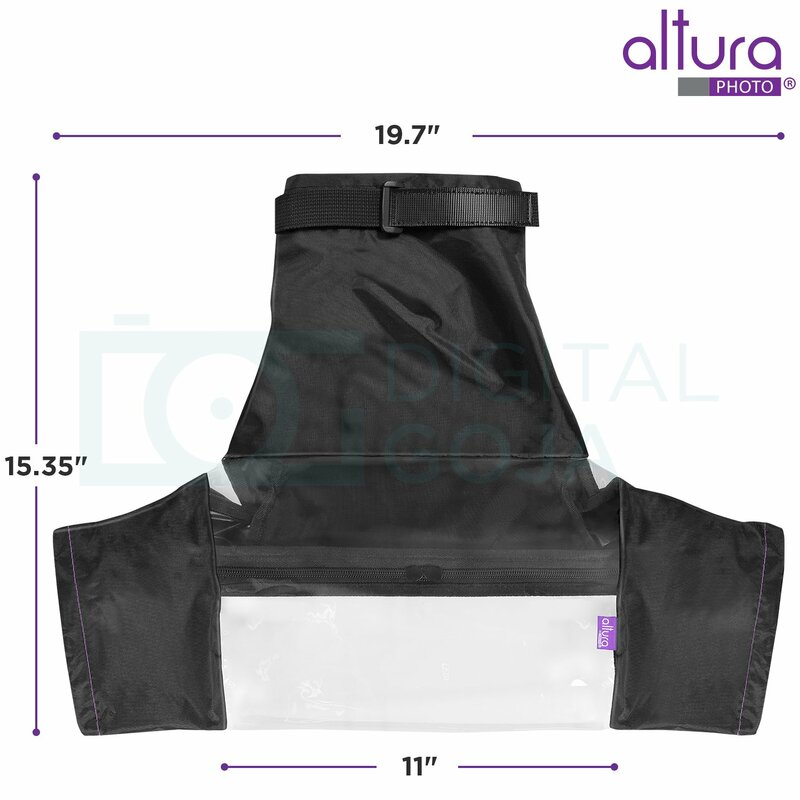 The Altura Photo rain cover offers protection from serious damage that can be caused by rain, snow, salt spray, dust, dirt and sand. 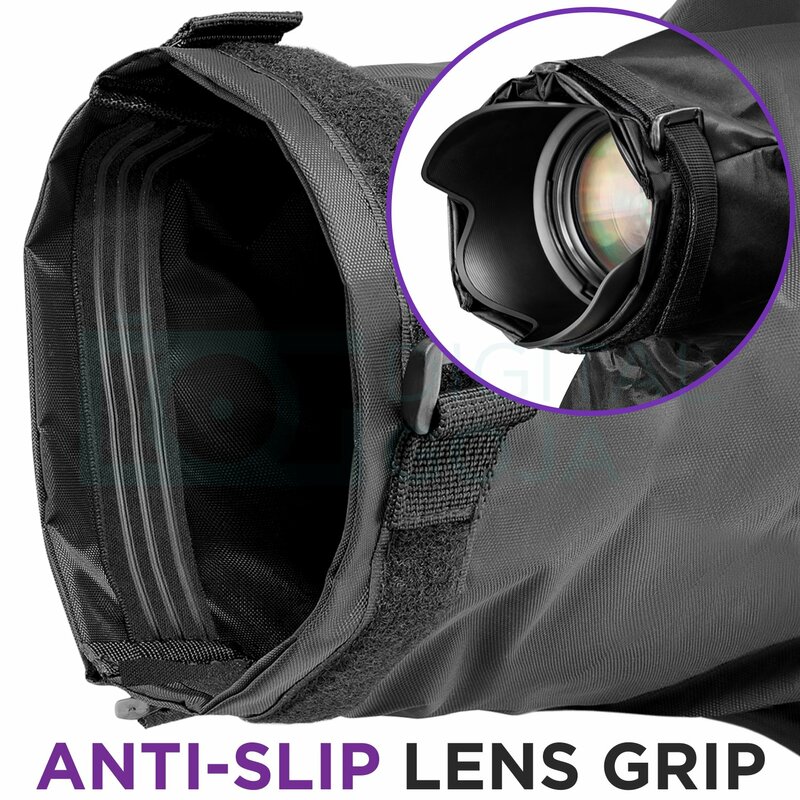 The sleeve is easy to install and remove and offers quick and full access to both camera and lens. 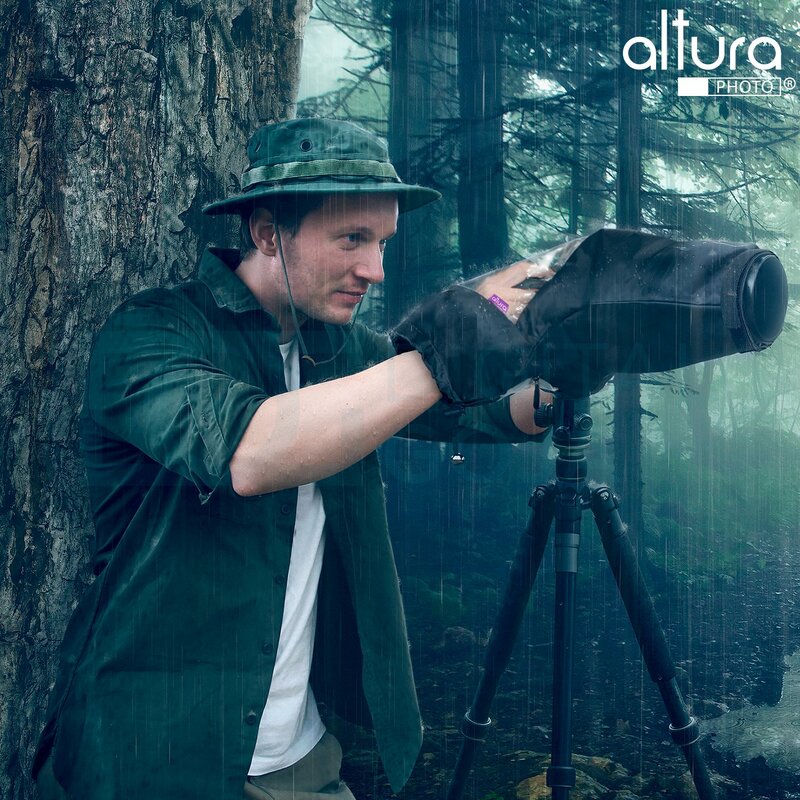 We highly recommend using a dedicated lens hood with your rain cover for improved fit and weather protection performance. 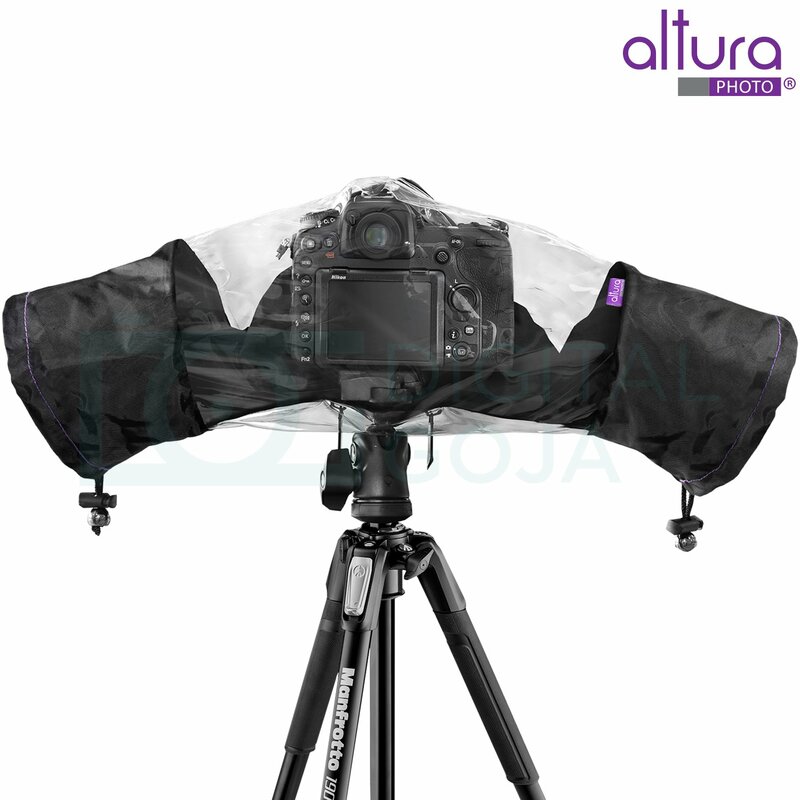 The Altura Photo Rain Cover is compatible with most camera and lens configurations (Max 8″ lens). Smaller cameras with small (pancake) lenses may be less comfortable to use. 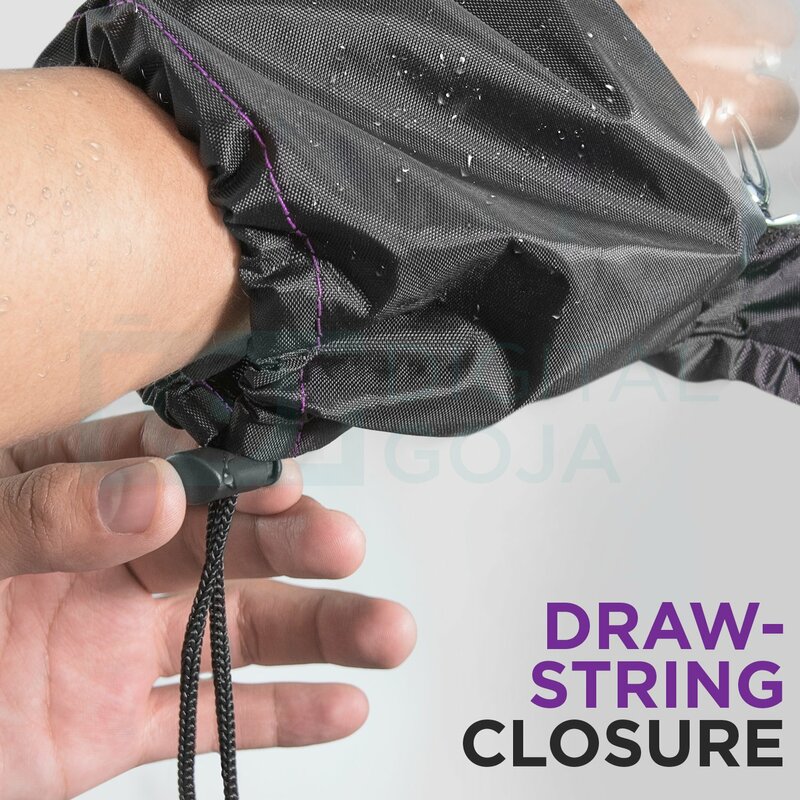 – Made from durable waterproof nylon with a clear back window panel. 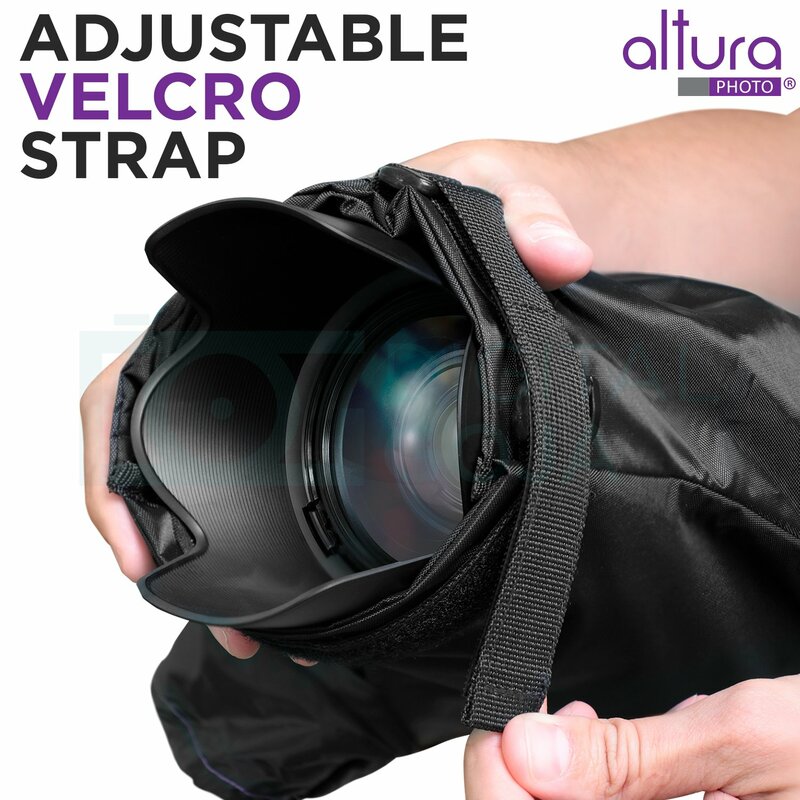 – Newly Integrated exterior Velcro strap, and interior anti-slip rubber provides a snug fit to your lens or lens hood. 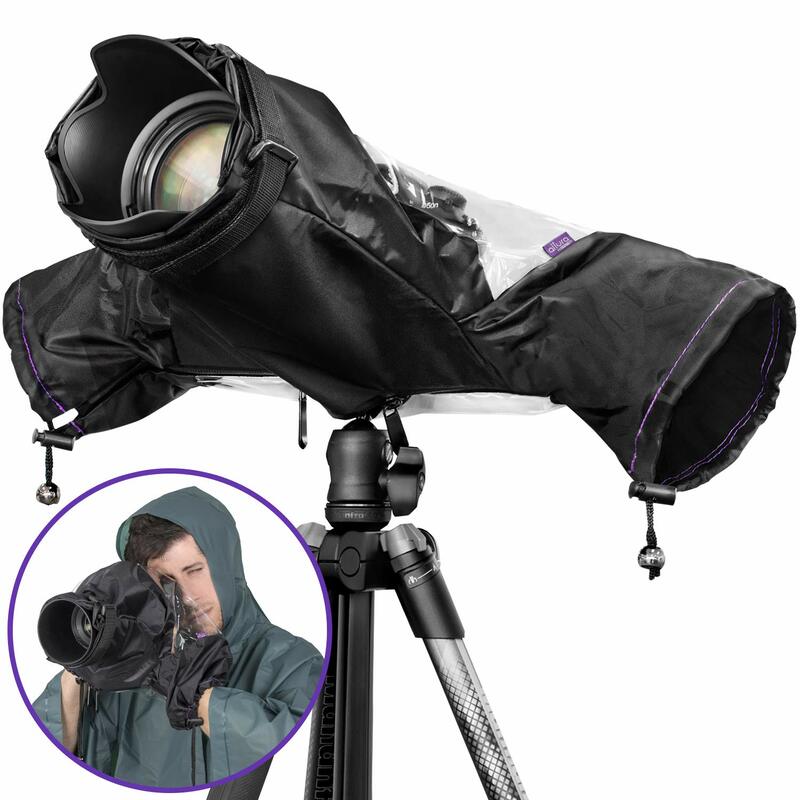 – Adjustable hand sleeves provide easy access to camera and lens controls. 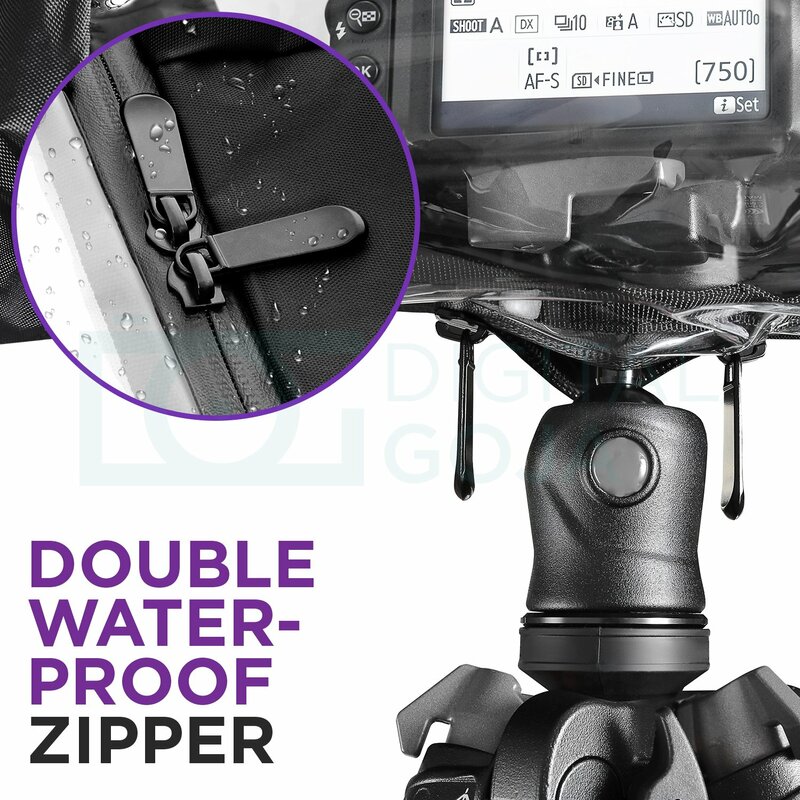 – The full-length double zipper provides complete coverage for hand-holding or tripod-mounting your camera/lens. – And similar sized cameras and lenses from other popular manufactures like Sony, Pentax, Sigma, and Tamron..